While Wilderness Systems is best known for their high quality kayaks, their continued innovation with their accessories needs to be recognized! Check out our Top 5 Accessories from Wilderness Systems! For the kayak angler looking to take his fishing game to the next level and upgrade from the traditional milk crate! The Wilderness Systems Kayak Krate sophisticates the tankwell storage experience with a superior functional interface and sleek look never before seen in a fishing gear storage crate. An open main compartment accommodates larger gear and tackle boxes, while smaller items can be stowed in the secondary lid storage. Functional and durable inside and out, the Kayak Krate is blow-molded, water resistant, is easily lashed within a tankwell, and comes standard with four rod holders. As fishing kayaks continue to grow, so does our back pain! Enjoy some relief by added a kayak kart to your paddling routine. While safety always comes first, comfort is a close second! 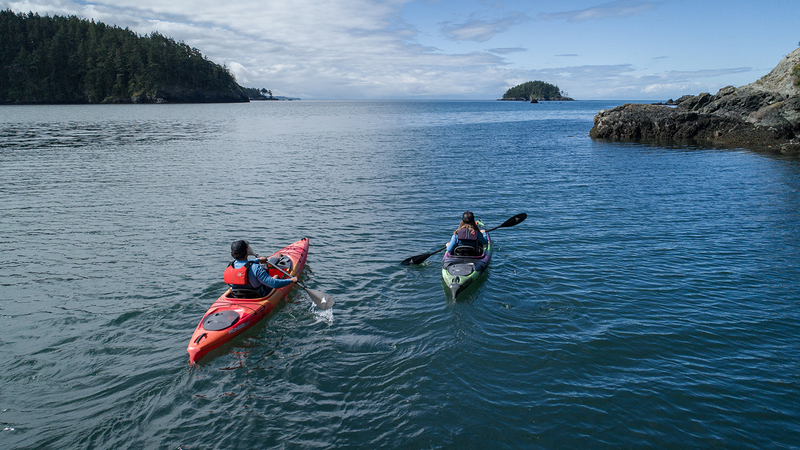 You’ll always perform your best when you’re comfortable paddling and moving about the deck of your kayak. The Wildy Fisher Lifejacket by Wilderness Systems in collaboration with Astral was designed speciﬁcally to meet the needs of expert anglers. The ThinVentTM back design provides the best ﬁt and function for high-back ﬁshing kayaks, and loads of storage will keep your tackle well organized and at your ﬁngertips. Exclusive features include a stowable rain hood, tool organizer and beverage pocket, as well as a color scheme unique to Wilderness Systems. You’ve spent a lotttt of money on that gear, best to keep it dry when out on the water! For those items that you may need quick access to while out on the water! Store small items in easy to reach places on your kayak with the versatile Mesh Storage Sleeves. With multiple shapes and sizes to choose from, each with unique compartments, taking control of your organization has never been easier. A strong bungee ball latching system is both adaptable and secure for installation, while the rubberized mesh provides an easy-draining, fast-drying and snag-free storage solution. It features 4 pockets in varying sizes to hold a variety of items. These are just 5 of our favorite Wilderness Systems accessories. Click the image below to check out their full line!